In an ever-changing world you should be continually learning. Not only is it necessary simply to be able to keep up with the world, but it is also fun, interesting, and meaningful. You need to take responsibility for your own learning and self-development. It is not someone else’s responsibility. If someone with as much vested interest in you as yourself is not willing to take responsibility for developing you, then why would anyone else? Your brain, like your body, is highly malleable. If you study and practice and put the effort in you can learn almost anything. Making the effort is far far more important than natural ability alone, though if you want to become the very very best at what you do choose things that either you appear to have a natural inclination for, or things that others shy away from. 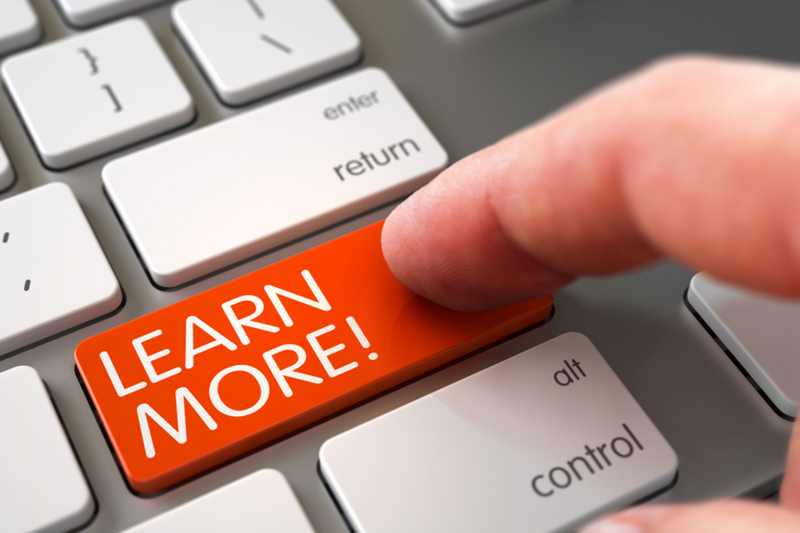 In our information age you can readily find help for almost anything you wish to learn. The internet and ready access to books, either to buy or borrow from libraries, means you have far more information and practical advice at your fingertips than anyone in the world had even 30 years ago. In addition to any learning or development associated directly with your career or desired area of work, there are a range of general skills and thinking abilities you should develop, general life skills, in areas such as creativity, communications, decision making, and problem solving. These will stand you in good stead in both your work and in your everyday undertakings. Creativity enables us to come up with novel ideas for dealing with situations when our normal solutions don’t seem to work. Creativity enables us to live fulfilling lives by opening our minds to possibilities and escaping the daily monotony of the same thoughts over and over again. Creativity is not something some people have and others don’t. We all have the ability to be creative. Creativity is, to a large extent, a state of mind: just let yourself try things without judging or worrying about whether it is good or bad; explore different ideas to see how they might work rather than looking for reasons for why they won’t; read things you don’t normally read; visit new places; learn to quieten your mind so you can hear original thoughts, and ensure you always have a notebook and pen with you where you can write down thoughts that occur to you before they fade away. Creativity can be helped along if you know about and are able to use various techniques: looking for analogous situations in other areas; forcing connections to random words or objects; talking with people who know little about the subject in hand; learning to brainstorm ideas either with yourself or others. Your creativity works best when you sleep well and when you are in a good and positive mood. Communication is about effectively understanding what others are trying to say, and effectively communicating what you are trying to say. Effective understanding of others requires not assuming or prejudging what they are trying to say. Recognize they have a different viewpoint to you and genuinely seek to understand what it is. Ask questions to clarify or further your understanding. When communicating to others be clear about what message you are trying to convey and communicate it in as concise a manner as you can. Be sure to use language and terms those you are trying to communicate will readily understand and if you have any doubts check their understanding. If you are looking for a response make it as easy for them to do so as you can. With effective communication we can achieve great things working together with others. Our greatest failures can often be traced to poor communication. Making a decision is not difficult. What is difficult is making a good and appropriate decision, and one that is capable of being effectively implemented. People often make decisions without properly thinking them through. They make decisions based on what they would like to happen rather than based on objective views of what is likely to happen. For many types of relatively unimportant decisions then the decision can be made quickly based on instinct, or based on relatively simple assessments of pros and cons. Important decisions however should be approached in a much more structured manner. This requires being clear about the objective of the decision and the criteria which will enable you to differentiate between the options. Be structured in assessing the options against the criteria, with there being various techniques to enable you to take account of the relative importance of different factors. Be sure your decision is based on your current circumstances and potential future consequences; don’t get trapped into letting sunk costs constrain you choices. Be wary of using intuition for important decisions since intuition is often based upon prejudices or atypical but vivid instances. Think through potential consequences of different options. You may have the opportunity to be creative about combining options or finding variations that provide you with a better outcome, rather than simply limiting yourself to choosing between the options in front of you. Expose your decision criteria and rationale to others who will usually be better able to see shortcomings or factors you haven’t considered. When faced with a seeming problem, unless there is a particularly urgent need to take action immediately, you should spend time ensuring you understand what the problem is about. The better you understand the context and background behind a problem the more likely you are to ensure you identify an appropriate solution. Often we may conclude that either we don’t need to try to solve the problem, since it is likely to go away of its own accord, or the consequences are ones we can live with or adapt to. Often problems are not what they first appear, and a better understanding ensures you don’t go spending time solving the wrong problem. A common occurrence is people addressing what are in fact symptoms of a problem rather than underlying causes, such that even after apparently solving it, it resurfaces. Once you are sure you properly understand a problem, you need to think through how to best go about solving it. This will often follow from your understanding of the problem. You might seek out analogous problems to which solutions are already readily apparent – though be sure the situation is sufficiently similar to make the analogous solution relevant and appropriate. You might need to step through a sequence of steps where you initially focus on gathering up information, including opinions and hypotheses, and then look at generating possible options and solutions, using creativity techniques if appropriate, followed by an evaluation process to determine the best options, possibly using decision making techniques. You then come to a conclusion about the solution or best solution and follow it through to implementation. Sometimes you are looking for a single solution, sometimes for a best solution, sometimes simply for a solution which is good enough. Which of these is appropriate should be clear from your initial understanding of the problem. If a problem is proving particularly difficult, then it might be best to seek help from others, or try to take a different viewpoint. Sometimes you can get trapped into a particular way of thinking about a problem that having someone approach it from a different angle, even a very naïve angle, can help you find an alternative and more productive way of thinking about it. Note that people often fail to approach problems in a structured way, and simply leap to solutions which are most obvious, or suit them personally, or are risk adverse, or conform to what they would like to be the case, or that require least effort to implement on their part. Of course any of these may give rise to a workable solution, and for many relatively simple and unimportant problems it largely doesn’t matter. However for important problems you should make the effort to identify a solution which is the best you can come up with. A common shortcoming is failure to adequately follow through on solutions to problems. Often there is a seeming belief that having come up with a solution it will implement itself or it becomes someone else’s responsibility. Maybe it does. But often it doesn’t and it is often as essential to follow through on the solution as it is to identify the solution in the first place. The best way to reduce stress in your life is to stop screwing up. This site is being regularly updated. Please come back from time to time.